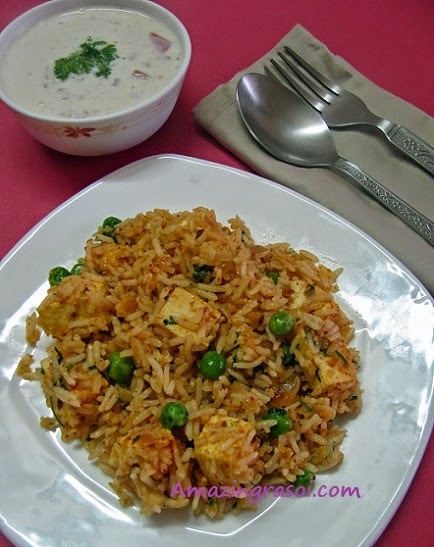 Last weekend I made this Matar Paneer Rice for lunch and was really very tasty. This recipe was made accidentally as I was planning to make Mushroom Rice but mushroom was not available so tried that recipe with Paneer. Add the pureed tomato and cook for 2-3 mins, then add the red chilli pwd, turmeric pwd , garam masala pwd, kitchen king masala and salt. mix well. Cook for another another 2-3 mins. Add the paneer and matar(peas) and mix well. Add the rice and mix it gently. 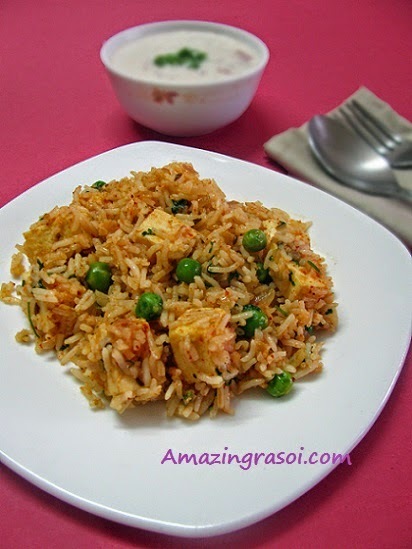 Do not over cook the rice, else texture of paneer rice will not look good. Can add the fried nuts, it will enhance the taste. 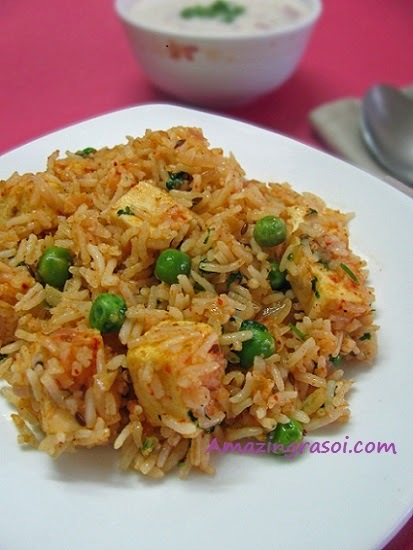 Cover the lid of pan/kadai after mixing rice and paneer,it will add more flavor to the rice.